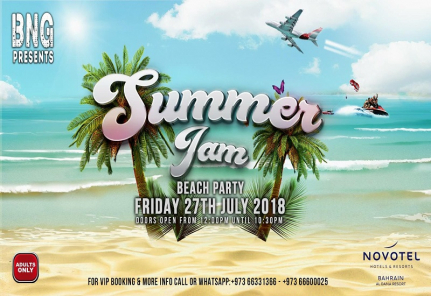 BNG events proudly announce "Summer Jam" to kickoff at Novotel Beach. 10 Hours of non-stop music. Massive lineup of top international and local DJ's playing different styles of music from Hip-hop, RnB, Reggae to House, EDM, Techno and more. Fire dancers, LED dancers and massive light show. A moment full of peace, love, unity and fun at Summer Jam. Let's gather together at the hottest beach in town. Another new massive stage with futuristic designs and light made specially for this night by V3 Designs. Beach, Food, Drinks, Music and great time all in one day. We don’t want you to risk your safety by drinking and driving. 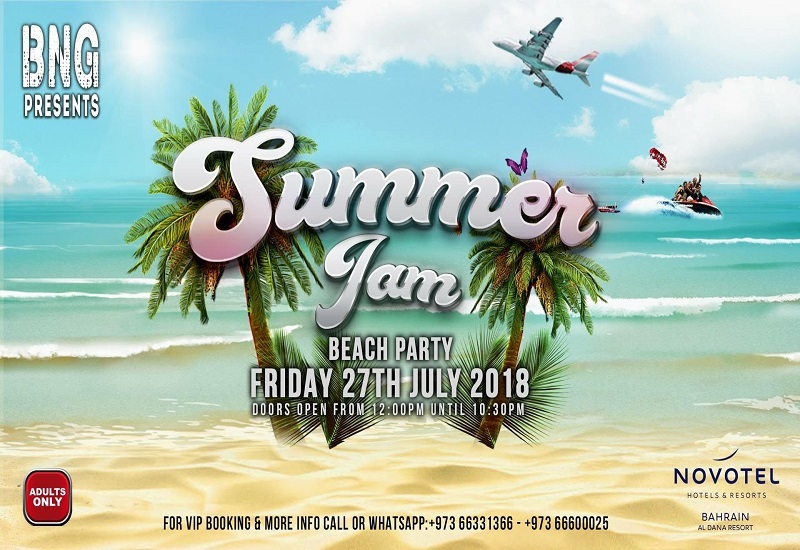 So we set Summer Jam Bus’s to pick you up from Juffair and Amwaj to straight to the party And take you back to the same distention for FREE. LET THE MADNESS BEGIN! THIS IS SUMMER JAM! You can pay online by credit card or debit card or cash on delivery. Allow 2 working days to come and collect the cash from you.